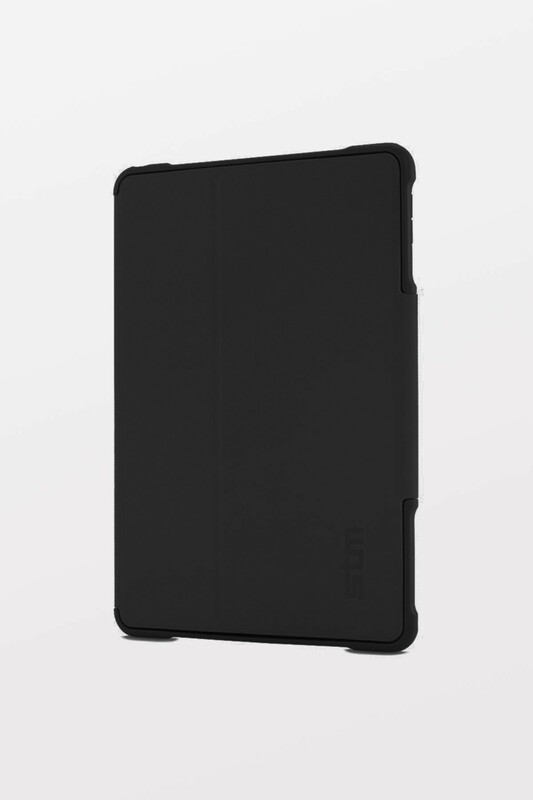 STM's most rugged case, the dux provides best-in-class protection for your iPad - tested to meet or exceed U.S. Department of Defense Standard 810F/G durability tests. Patent pending magnetic closure saves battery life and folds perfectly into both viewing and typing modes. 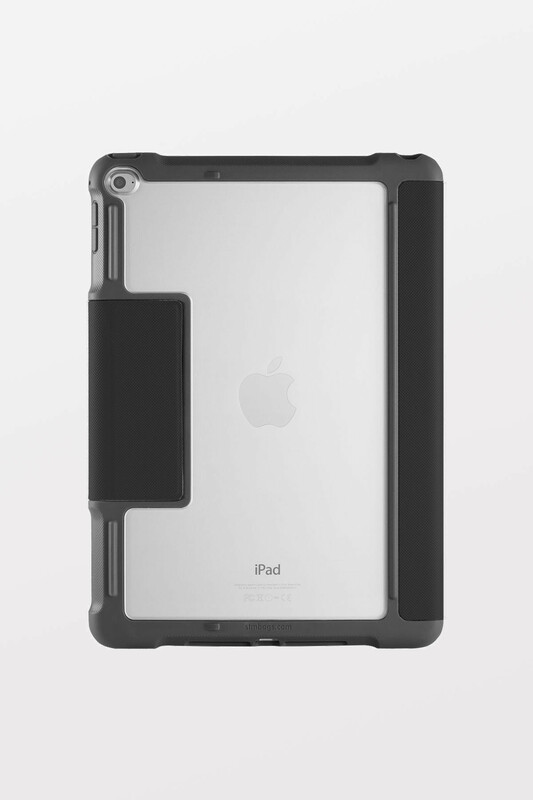 Tough, reinforced corners protects from inadvertent drops. Unique clear polycarbonate back panel allows for a custom look or asset tagging for schools or businesses. 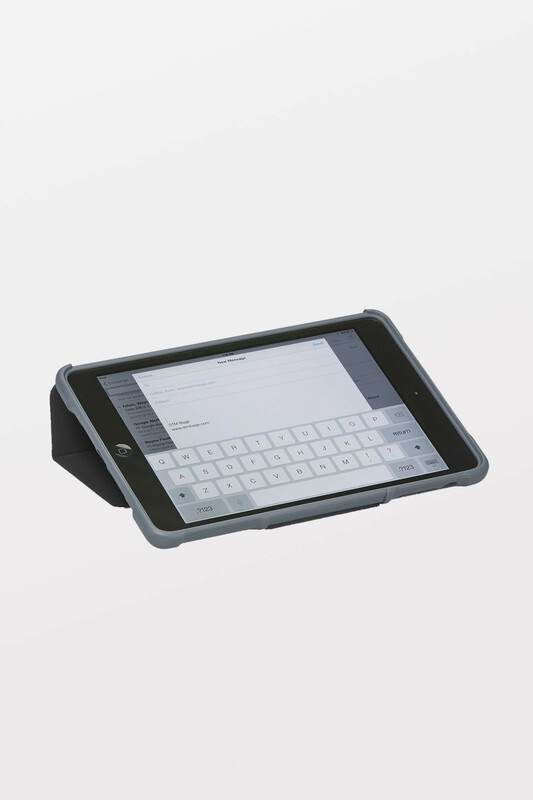 Designed with input from educators and IT professionals, the dux can withstand the unique rigors of the classroom, work or everyday environment.